Whenever we utter the word shopping, the very first picture that is created in our minds is that of the clothes. Shoes come secondary in our list though it does dominate our wardrobe and comprises of a substantial sum in our shopping budget. Fashionable shoes were introduced to us when we were real small kids and read Cinderella stories. Beautiful pair of shoes always adorned our collection but they often came against heavy cost. Right shoes add the finesse and complete our look. Following are the most expensive shoes in the world which you would definitely want to add to your collection. In 1989, Ronald Winston the son of popular jewelry designer Harry Winston wished to commemorate the 50th anniversary of “The Wizard of Oz” in the most affluent way. 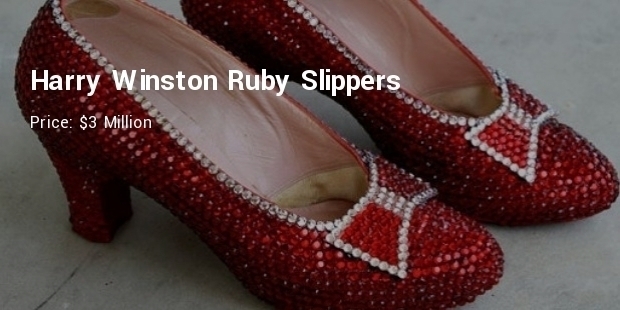 After two months of drearily placing 4600 rubies, the house of harry Winston revealed its own version of famous ruby slippers from the classic film. They contain 50 carats of diamond and 1350 carats of rubies. Inspired by iconic movie star Rita Hayworth, this Weitzman and Le Vian creation uses this as drool factor, a pair of earrings owned by Hollywood legend. 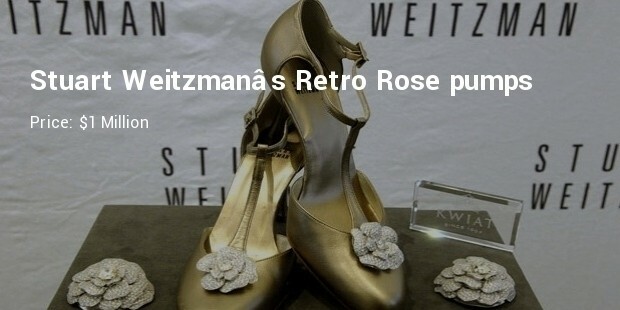 This deep chocolaty color shoes is quite different from the usual bleak dazzling tones used in many Weitzman design. The folded satin flowers supporting the chunky earrings are fashions in themselves. This shoe comprises every kind of gem like ruby, sapphire and diamond. Stuart Weitzman’s Cinderella slippers are integrated with 565 Kwait diamonds gracefully fitted with Italian leather on platinum settings. 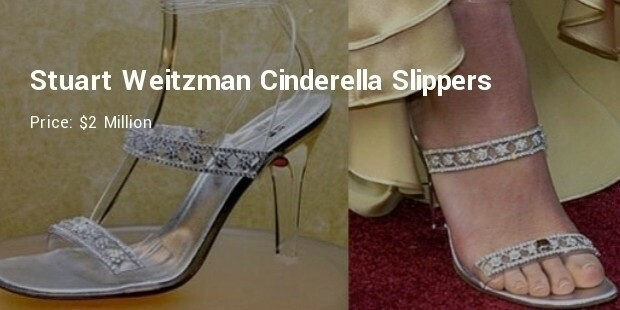 The slippers were worn by the singer Alison Kraus in the 2004 Oscars, it comprises of solid and a mixture of transparency glitter. 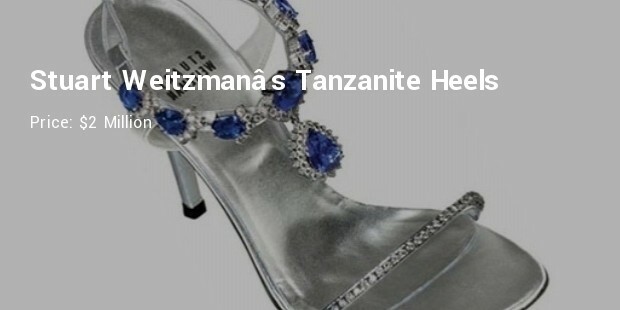 The heels were made to pay honor to the fabled glass slippers of Disney princess Cinderella. 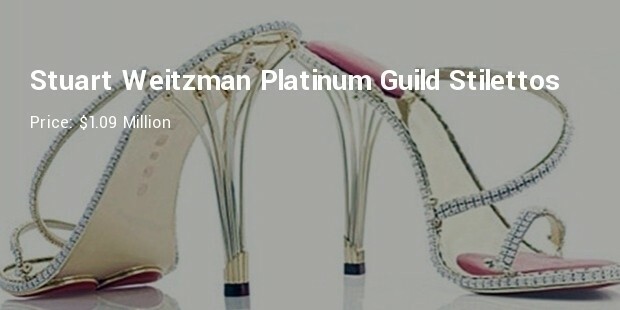 Stuart Weitzman, after working with one of the richest jewelry designer in the world designed one of the unique pieces of shoes with 185 carats of sparkling blue tanzanite gemstone and 28 carats glimmering diamonds supported by shinning silver framework. 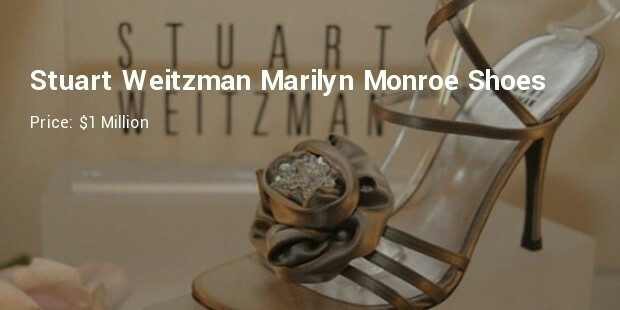 This shoe was designed by Weitzman in relationship with Eddie Le Vian of France. So the above are the most expensive collection that every girl dreams to wear. They are the most priceless possessions that girls have and their best companion in fashion. Fashionable pumps, heels, stilettos and slippers can just blow away your mind.